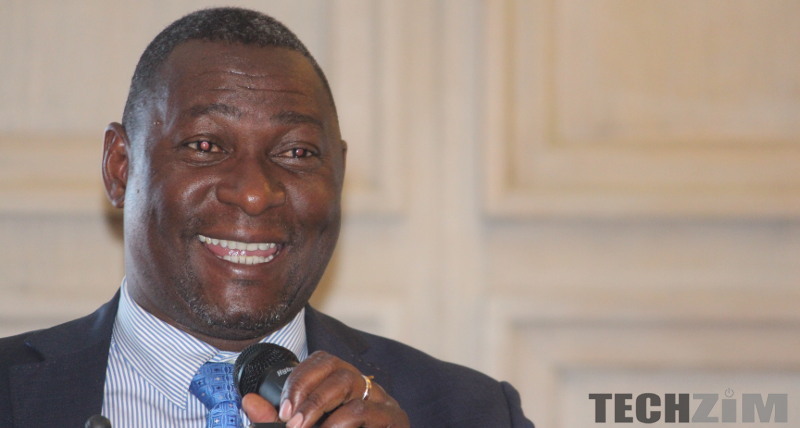 The Ministry of Information Communication Technology and Cyber Security has issued an ultimatum to the Mobile Network Operators to find a way to make all their mobile money platforms work together. The Ministry of Information Communication Technology and Cyber Security would like to encourage the Mobile Network Operators (MNOs), who offer digital financial services, to consider making their services completely interoperable. We have noted with concern that whilst it is possible to send money to an unregistered customer on another network, the Unstructured Supplementary Service Data (USSD) platforms for operators are not yet fully integrated hence wallet to wallet funds transfer have not yet been integrated. The lack of Interoperability of the mobile money platforms of the networks is a major barrier to effective competition and stalls further progress in the development of mobile money services. Interoperability also brings convenience to consumers and the ease of doing business. In the event that there is no interoperability across all networks by the set date of 1 April 2018, the government will take the appropriate measures to enhance compliance. Interoperability is the ability of computer systems or software to exchange and make use of information. In essence what this means is that Econet, NetOne, and Telecel are supposed to find a way to make Ecocash, OneMoney (formerly OneWallet) and Telecash work together seamlessly. The easiest illustration is that customer x will have mobile money they can use on any platform (Ecocash, OneMoney, Telecash…) regardless of which service they signed up for. This will make mobile money simply mobile money and brand becomes nothing more than brand. One customer can then be able to send money from say Ecocash straight into another person’s OneMoney wallet ka1. Telecel and NetOne will probably be overjoyed by this announcement as they stand to benefit most from this move. Telecash and OneMoney are way behind Ecocash in usage but this move means customers may no longer have to flock to Econet solely because of Ecocash in future. With all mobile money platforms working in tandem customers will be able to send money without having to consider whether the receiver is on the same platform. It will be interesting to hear Econet’s thoughts on this move as they seem to be the only MNO that will be disadvantaged if this ‘interoperability’ does become a thing. Econet had made huge strides and pulled away from Telecel and NetOne when you compare their mobile money platforms. The fact that Telecel and NetOne are government owned could also mean the government is just doing these two a favor in order to help them catch up to Econet without necessarily putting in the work. Last year OneMoney made losses of 6 million whilst Telecash lost subscribers like no man’s business the year before. The government’s move is a nudge in the right direction for these two ailing products. Making this work will stand to benefit all Zimbabweans who use mobile phones regardless of which operator they are on. If this gets implemented there will no longer be need for people to have two lines, one for Ecocash and either Telecel or NetOne if you prefer those for other services. Regardless of which network you are on you will be able to send money to another network. Though I think it is not fair, this move stands to benefit the country as a whole, and thus I think this move should be pursued. Let’s keep the conversation going down in the comments below. Tell us what you think of this move and if it should be implemented. Fuc..k him. Mobile money aint his business. Its RBZ so he must shut. Not try to create business for NetOne and Telecel. They must market their own products not to use some minister to help them. I think this is a right move since these platforms will be more like banks where funds can be transferred into another bank. If banks can transfer money to another bank why can’t these platforms do the same? All they can do is charger lil more amount for cross platform transfers. Ultimatums, Zimbabwe is really open for business. This sends the correct message to big investors. Great move…everywhere in the world there is Open Architectures to share some of these services. Let Econet not own a concept but be part of it. Ecocash is capitalizing on its financial muscle but there is no progress in technological advancement for this mobile money platform. Great move. Customers must benefit, they have endured for long. To hell with how Econet feels they will still have eco-sheep just like Apple has its i-sheep this notion of creating walled garden ecosystems is absolutely unacceptable! kkkkkk eco-sheep….i-sheep. This is a classic!! How illiterate he is. You can’t force companies to decide what they do and how they integrate their technology and services with others. Let alone public companies, like Econet, that answer to shareholders. Mugabe is gone, you can’t say stupid things like that. I guess, knowing his lack of capacity to develop the industry, to him this is “an innovation” worth citing as a 100 day achievement. You can’t take the backyard tuckshop mentality out of him. Even though he denies many things, his ignorance betrays how shallow he is. I do not like you Supa, and l will not hide it, but you are right on this one for the first time since appointed a minister. Money must move freely between accounts be it mobile or banks and it is the duty of providers to find a way of how to do it. As a minister, its your duty to make sure its done!! Mixed feelings. How will this affect us from receiving money from South Africa for example? Nice opinion ,but still you have a lot of work to do to your two companies coz their agents will not be having any cent with them thereby making customers go back to were cash is found ecocash agents. But you can transfer money from CBZ to Cabs ryt? I think the issue need to be tackled from a banks perspective as well. Most banks can accommodate only one mobile money connection to an account. So basically I have to choose which wallet to connect rather than having a as many as I would like. I think it is a good idea in terms of having the mobile money platforms work together. However, I feel that it pushes the agenda of netone and telecel in that if I can now transact easily from any one of the networks I’ll ditch my econet line which is there solely for ecocash. If I were econet I’d seriously consider changing my pricing structures to introduce something that’ll compete with one fusion. If there’s no reaction from econet, they are bound to lose subscribers as ecocash is what is keeping many there. Fatso, this is just another way by Supa to arm twist mobile operators into fully fledged infrastucture sharing arrangement. Watch the space, this is only the tip of an ice berg. Much as this might benefit the ordinary subscriber, the question still arises at whose cost? The 3 MNOs have very different strategies, with EW being at the front of innovation, enterprise & associated reward systems whilst the other two wait to hear what their “chefs” think or say. I don’t see the other two ever catching up with EW (despite all its weaknesses) because EW has a working (and rewarding) business plan. I doubt the other two have, hence reliance on politicians for what should be plain business decisions. Actually is good. encourages competitiveness amongst MNO’s. Why should one be held ransom just because of ecocash. Leave econet alone. if this country was run like econet is we wud be competing with South Africa. But no it is run like netone and telecel that is why nothing happens. why have netone and telecel not joined hands yet? Why is econet always dragged in to help the other 2 useless non profit making businesses. I don’t think the meaning of interoperability really means to become one and brandless per-se as it was put by techzim. Interoperability in this context, means working like how different banks work, you can send and receive money seamlessly between banks as they are all connected on the ZSS infrastructure. So the same should apply to mobile money to remove the inconvenience that’s already in place. The impact is not as great or exaggerated as you have put it; The greatest advantage is seamless mobile money transfer between MNOs, it’s actually a BIG win for Econet as those subscribers on OneMoney and TeleCash will now be able to send and pay for services where only Ecocash is accepted and where the former are not accepted. This is the kind of government that we do not need in this country, where one wants to reap where they did not sow. For that reason I am going to vote Chamisa. The kind of interoperability that I support is one which is driven by market and commercial considerations e.g the banks intergration with mobile money companies which benefits both sides and not to try and strengthen an inefficient and corrupt company by weakening a well run and innovative company like Econet. If Netone can’t run the business then government should sell the company to MTN or some other international telco to give effective completion to Econet. This new government has completely failed and that’s why I think it’s no different from Mugabe’s regime where threats and bans was the way of running an economy!